Knotless tapered long French/ Euro Nymphing leader for light nymphing. 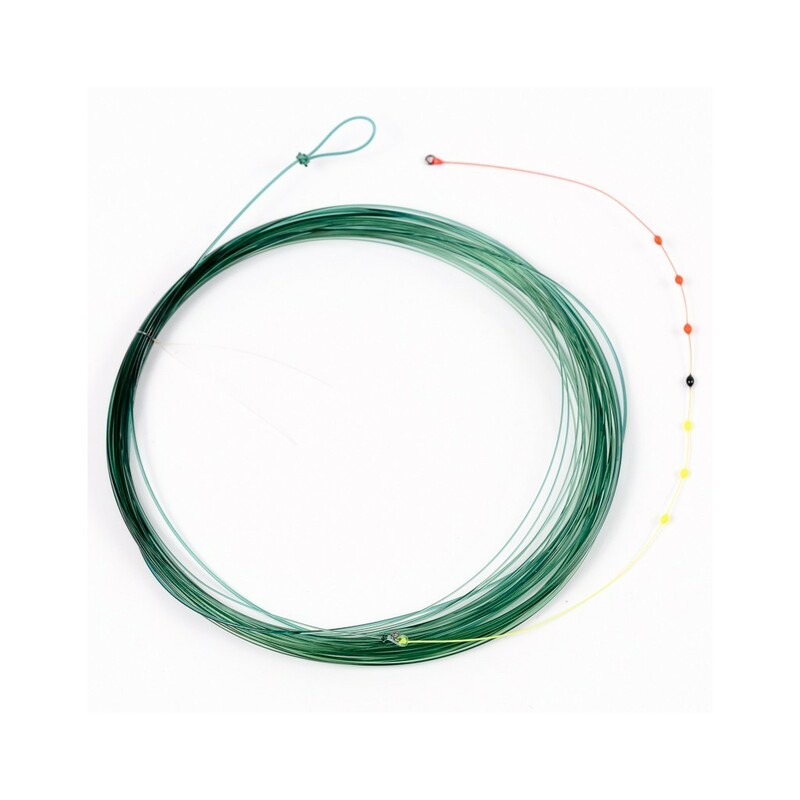 The leader consists of 12,75 metres knotless clear slow singing section (0.60 - 0.20 mm) and short hi-visible drop indicator. 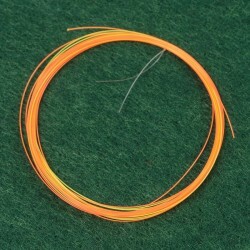 Knotless tapered long French/ Euro Nymphing leader for light nymphing. 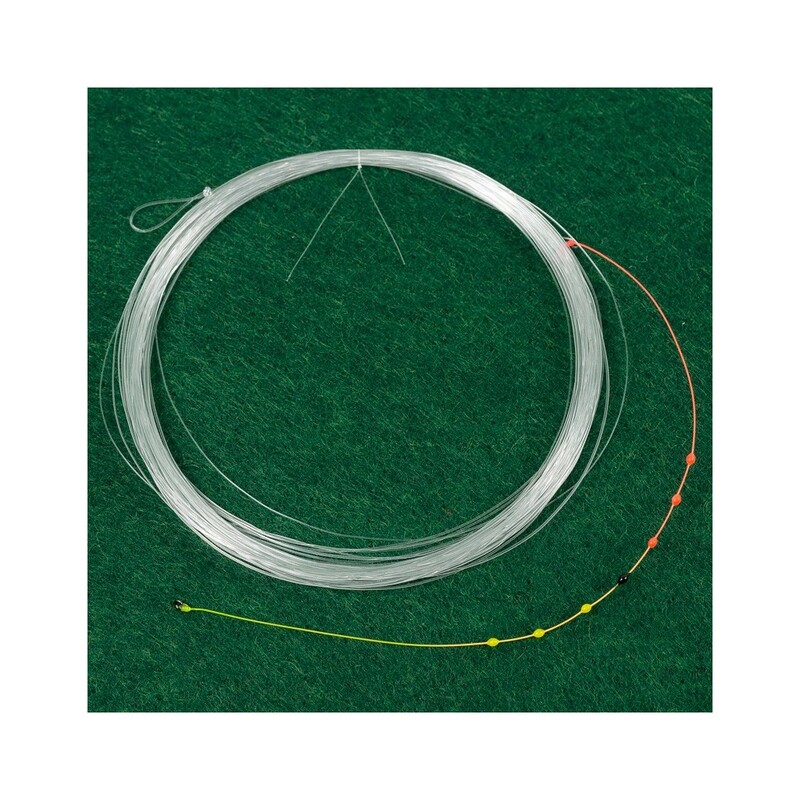 The leader consists of 12,75 metres knotless clear slow sinking section (0.60 - 0.20 mm) and short hi-visible drop indicator. 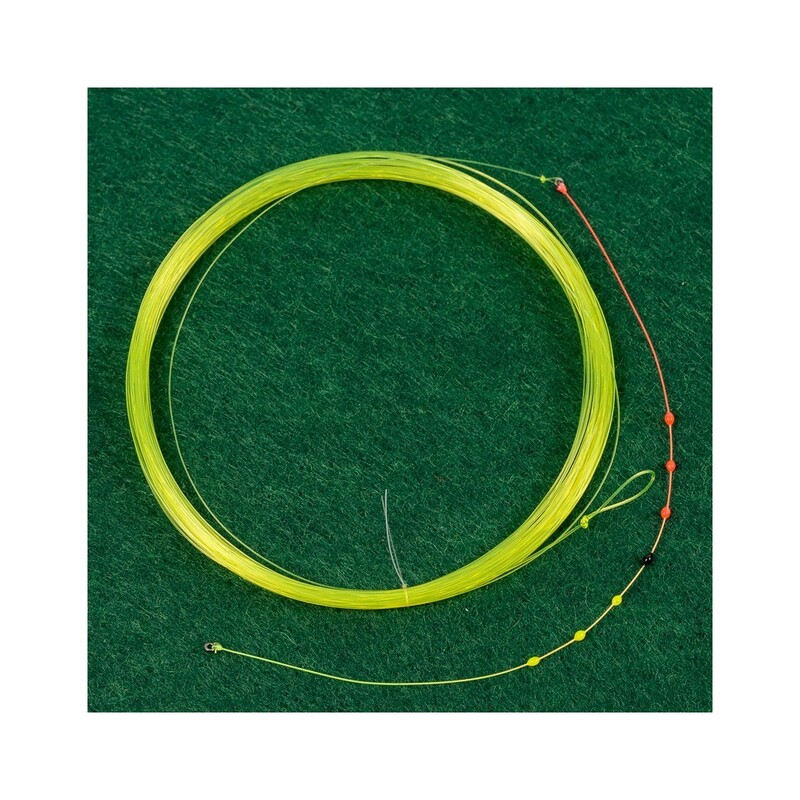 This leader works perfect with long 2-3-4 wt rod of medium action when fishing with light nymphs up stream, across and down stream or fishing Czech nymph style. 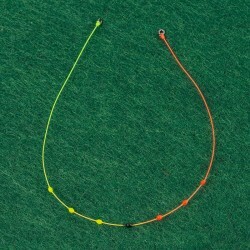 It can be used like slow sinking clear line for downstream wet fy or spider fishing. 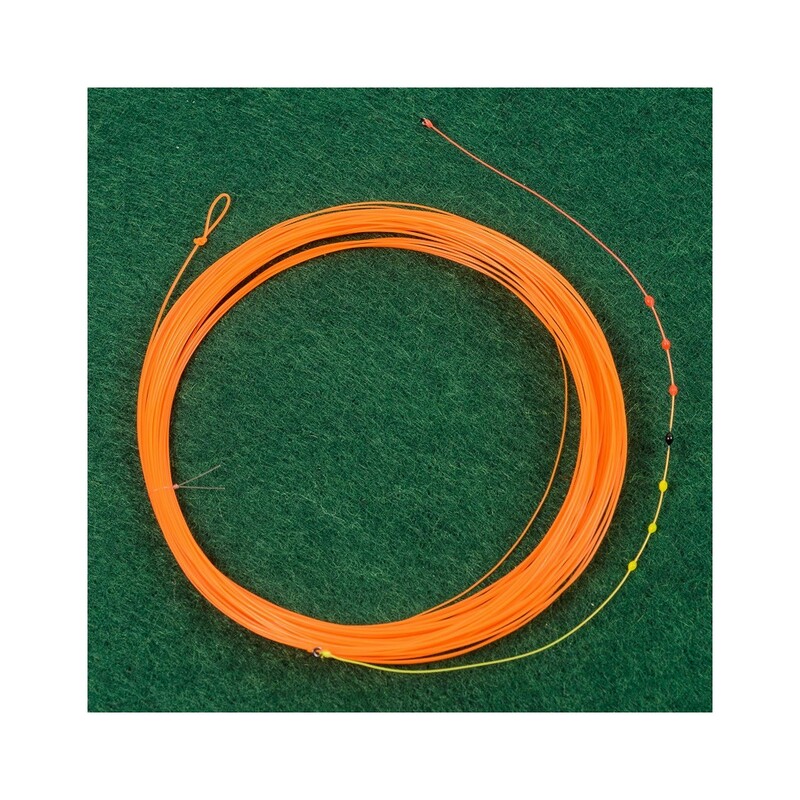 In 2018 we added also another colors of this leader: fluo orange, fluo yellow and olive.